Whilst Facebook comes out on top in terms of number of users, Twitter certainly seems to be the darling of the social media world. Everyone from Bill Gates and Barack Obama, to Ashton Kutcher and Andy Murray regularly court the microblogging service. Whilst you might well ‘like’ any of the aforementioned public figures on Facebook, the chances are you won’t make regular visits to their respective Facebook pages…if they even have one. Facebook may have the brawn, but Twitter has all the cool friends. Is Zucker & Co. bothered about this? Not overly. You see, different social networking platforms serve different purposes. They AREN’T all in direct competition and many complement each other. YouTube clips are embedded effortlessly into any Facebook page, whilst Skype and Facebook now enjoy a rather cosy relationship too. And Mark Zuckerberg even has his own public Twitter account. Though in fairness he hardly ever uses it – his last Tweet was back in March 2009. But by having a public Twitter account, that’s the same as Zuck saying ‘I’m not worried about Twitter’. Do you think Coke CEO Muhtar Kent would be seen sipping Pepsi at a press conference? Hell no. But this ‘we’re all best friends…really!’ act only goes so far. It was only two years ago that Twitter used Tumblr to communicate information regarding its down-time, and whilst both are what you’d call microblogging platforms, they were always different enough for neither to pose a real threat to each other. But with Twitter ‘mark 2.0’, the boundaries between the two platforms begin to blur. Twitter’s multimedia partnerships with the likes of YouTube, TwitPic, Justin.tv and Flickr means that Twitter is taking a more sophisticated multimedia approach to its offerings. Some have suggested that Twitter is moving closer towards the Facebook model, but it seems that Twitter may have one eye elsewhere and is adopting a more Tumblr-esque approach. With richer content, more action takes place within the Twitter platform itself, rather than it acting as a sort of aggregator for content held elsewhere. So why would Twitter attempt to reposition itself within the social media sphere? Probably because it knows what happens when such platforms rest on their laurels. The fact that MySpace and Bebo were left shaking their fists at a Facebook dust-cloud is all the evidence you need. So – can Tumblr realistically expect to overtake Twitter as the number one microblogging platform? Sure, Twitter has around 200 million users – give or take – and Tumblr only just exceeded the 6 million mark a few months ago, but its growth rate is impressive. Figures announced by Tumblr reveal that 30,000 new members sign up to Tumblr each day – that’s a whisker away from a million people per month. And as we all know, the more members that sign up to any social networking platform, the more likely the growth rate will rise exponentially – which could be why Tumblr is aiming to double its staff in the coming months, from 12 to 24. And not to be out-sexed by Twitter, Tumblr has its very own celebrity squadron too, such as Pete Wentz (Fall Out Boy) and Josh Groban. Twitter may be realigning itself as a content-rich networking tool of a similar vein to Tumblr or Facebook, but the rot may already have started. Serial-tweeter and some-time musician John Mayer closed his Twitter account in September, despite having over 4 million followers. He’d already opened his own Tumblr account, announcing in April that Twitter had reached its “cruising altitude” – and insinuated that the honeymoon period for Twitter was over. For many, it seems, Tumblr holds more appeal than Twitter. Unless you’re in an industry that requires you to be tuned-in to all that’s happening, or you’re big on celebrity culture, you probably won’t need a Twitter account. Tumblr is where you go to properly ‘microblog’ – and Facebook is still where friends network online. 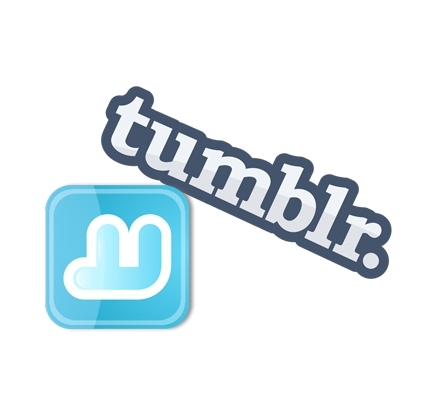 It’s estimated that Twitter has a retention rate of around 40%, compared to over 80% for Tumblr. These figures date from 2009, but they’re still indicative of what the future may hold for Twitter – retention is the key to any social networking platform’s long term success. Tumblr ultimately allows for more personalisation and customisation too which could be a key unique selling point if users are presented with the option of signing up to either platform. Tumblr allows you to use your own domain, with Tumblr essentially acting as the content management system (CMS) – the interface and URL can be entirely of the user’s choosing. It’s blogging for people without the technical know-how or who simply can’t be bothered with the likes of WordPress. Twitter may have changed its approach but it may be too little too late. Twitter is now synonymous with a certain type of social networking and it may find it difficult to win those users back who’ve already jumped ship for something more relevant to them. With Facebook’s growth showing no signs of ceasing, Zuckerberg knows that Twitter as a platform can’t really compete with it. He even said he believed its exponential growth was over, stating that much of its popularity was due to media hype. But Twitter was never really designed to compete with Facebook – it’s a different beast altogether. Twitter and Tumblr operate in a different social sphere to Facebook. 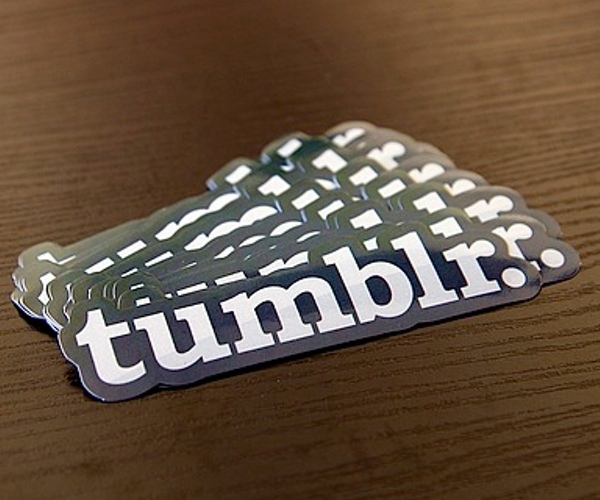 Can Tumblr topple Twitter as the number one microblogging tool? You bet it can. And whilst Twitter isn’t going the way of the dodo any day soon, that Tumblr train is gathering pace. Better watch out for that dust-cloud!